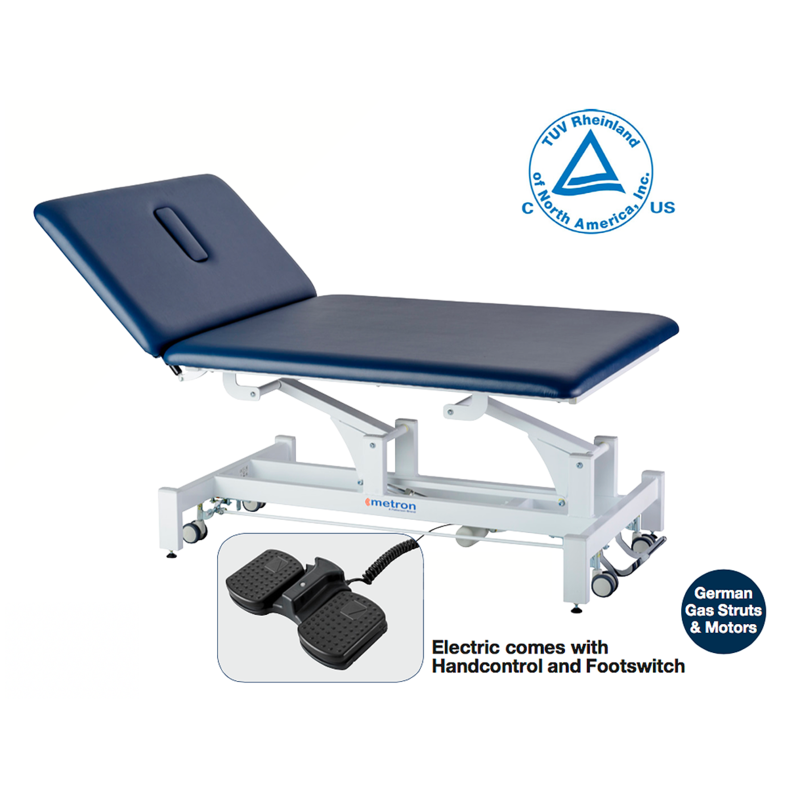 This wide Neurological Treatment Table has been especially designed for the treatment of patients suffering from neurological conditions. Featuring a large upholstered top which allows exercise movements to be performed with room both for the patient and the therapist. This table also offers an exceptionally low operating height of only 46cm. Excellent for patient transferring and standing exercises. The unique lifting mechanism allows a maximum height of 89cm and a smooth lifting action is achieved by the electric actuator which is controlled via a foot switch. The back section can be adjusted safely & effortlessly using high quality gas struts. Easy hoist/patient lifter access standard. Available in two widths: 100cm and 120cm.